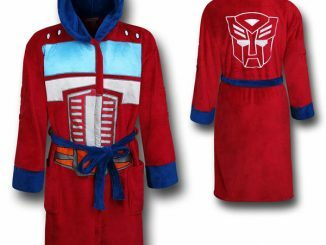 I know summer is here and the cold nights are hopefully gone for a few months, but this Optimus Prime Transformer Hat was just too good to pass up. 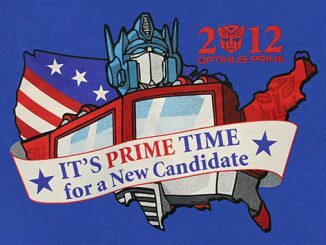 Available is sizes from infant to adult, there is more than meets the eye to this hat. 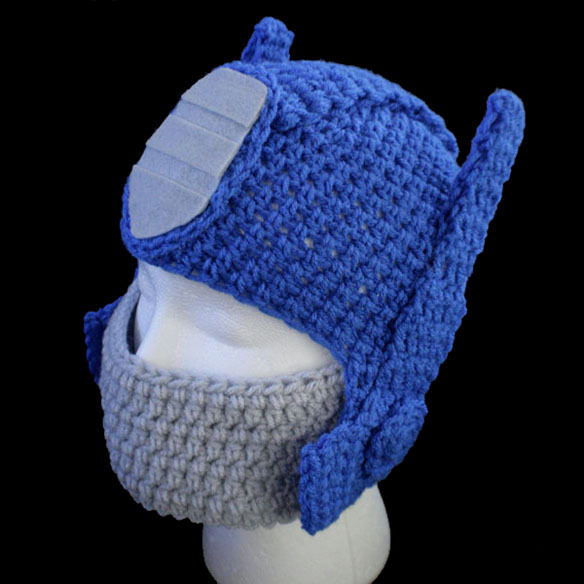 If you’re headed to the beach for a late night party, or the slopes somewhere that still have snow, this Transformer styled hat will keep you warm…and if it’s too warm, you can remove the detachable mask! 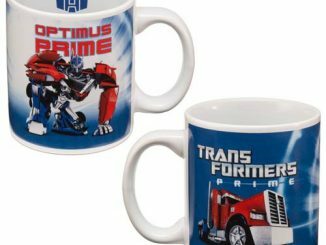 Summertime is great time to stock up on the items no one else is thinking about. 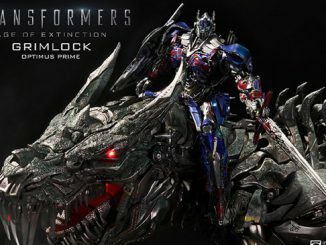 You can purchase the Optimus Prime Transformer Hat at Etsy for $54.99 and remember to check out the many other cool hats and hoodies GeekAlerts has shown. 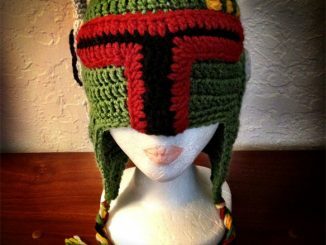 That hat is cool, but it is crocheted, not knit. 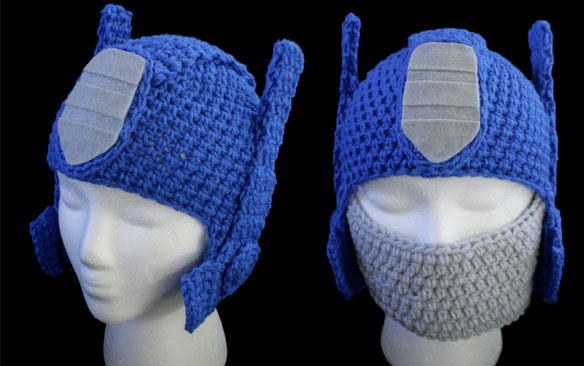 I really love this hat… it’s perfect for my son who wants to be Optimus Prime for Halloween, but isn’t entirely fond of masks that cover his eyes… I have clicked on the link to find it on Etsy and to no avail, there are other crocheted hats, but they do not look as good as this picture… please, please, please tell me that I can still buy one! 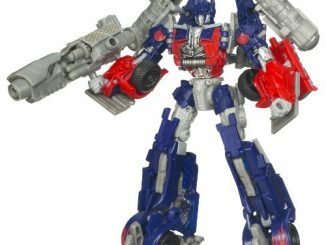 Bring me the head of Optimus Prime so that I can use his ears as speakers! 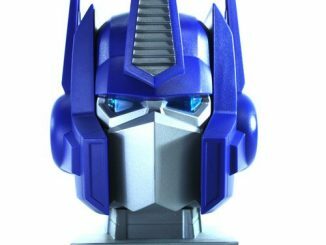 Transformers fans can now display the head of the Autobot leader proudly and listen to music thanks to the Optimus Prime USB-Powered Speaker Head. 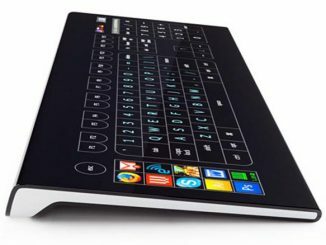 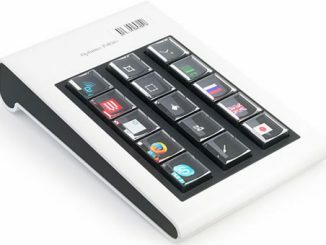 Art Lebedev, the team behind the Optimus Maximus keyboard, has announced the Optimus Pultius; a 15-key addition to any keyboard. 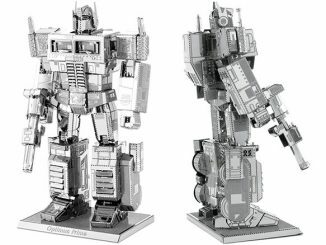 We have seen some Amazing Sci-Fi Metal Sculptures in the past, but this Transformers Optimus Prime model might just be the coolest one so far.